Funding cycle July 1, 2008- December 31, 2008. The Victim Assistance Law Enforcement (VALE) Board, Seventh Judicial District, announces the availability of local VALE funds authorized by Title 24, Article 4.2, Colorado Revised Statutes. The VALE Board will hold its business and grant meeting on June 26, 2008, at 9:00 a.m. The meeing will be held at the Montrose County Sheriff’s Office’s Conference Room, 1200 North Grand, #D, Montrose, Colorado. Applications must be submitted to the VALE Board Administrator, 1200 North Grand, #D, Montrose, CO 81401, by 4:00 p.m. on Friday, May 18th, 2008. Applications received after that time will not be considered, Incomplete applications and applications sent by fax will NOT be accepted. Anticipated amount available: Approximately: $14,000 (7,000 to training) (7,000 to equipment) the Board has the discretion to divide the 14,000 differently according to the grant applications. Contract/grant cycle: July 1, 2008- December 31, 2008. Eligibility: The Board is authorized to enter into contracts for the purchase and coordination of victim assistance services with persons or agencies which the Board deems appropriate. The Board shall accept and evaluate applications related to the implementation of the rights afforded to crime victims pursuant to section 24-4.1-302.5 and the provision of services delineated pursuant to sections 24-4.1-303 and 304. Such moneys shall not be used for defraying the costs of routine and ongoing expenses. Priority Categories: Training (including COVA scholarships) and equipment only. 1. In accordance with 24-4.2-103(5), the priority use for moneys in the fund shall be the implementation of the rights afforded to crime victims pursuant to section 24-4.1-302.5 and for the provision of the services delineated pursuant to sections 24-4.1-303 and 24-4.2-105(4.3) C.R.S. ; and 3. Scholarships to attend the annual COVA Conference. Inquires: For additional information and/or application forms, please contact Jennifer Fellin at 970-252-4276. Published in the Crested Butte News. Issue of April 4, 2008. #040404. Proposed Enterprise Mine Reclamation: The USDA Forest Service in cooperation with the Colorado State Division of Reclamation, Mining, and Safety is proposing a mining reclamation project at the Enterprise Mine. The project will be for mediation of health and safety related concerns associated with past mining activities, reclamation of man-made site disturbances, minimizing site erosion and resultant sedimentation, removal of metallic debris, and road closure. These facilities include three mine entry areas, the large mine dump at the lower mine entry, and the road. The Enterprise Mine reclamation project is located at T12S, R83W, and Sec. 10, 11, 14, 15, 22, and 23, 6th PM near the Tellurium Creek area, inside of the Collegiate Peaks Wilderness Area on the Gunnison National Forest. If you have comments or concerns, please send them to the Gunnison Ranger District at 216 N. Colorado St, Gunnison CO 81230 by April 17, 2008. If you have any questions, please contact Cathy Mask or Janice Chapman at (970) 641-0471. 1. Invitation. Bids will be received by the Skyland Metropolitan District for the Skyland Lakeside Pavilion Remodeling Project until 5:00 PM (MST) on April 16, 2008 at the following address: a. Skyland Metropolitan District. Attn: Frank Alfone, District Manager 350 Country Club Drive, Suite 112A, Crested Butte, Colorado 81224, (970) 349-7411. 2. General Statement of Work. The purpose of the project is to enhance the existing building, and the work includes: a. Extending the existing building, providing additional covered space; b. Installation of an open deck with accompanying stairs; c. Installation of a stone veneer and truss detail; and d. Installation of windows. The work is expected to be complete by mid-June 2008. 3. Availability of Documents. Contract documents will be available from the District office at the address above starting on April 9, 2008 for a cost of $ 40.00 per set. The District reserves the right to modify the time for making the contract documents available, and thus, contractors wishing to obtain the contract documents should first call the District office at the phone number above to inquire about their availability before attempting to pick them up. 4. Qualifications. Bidding contractors are not required to submit a statement of qualifications along with the bid, but should be prepared to demonstrate the experience necessary for completion of this project if requested. 5. Bid Guarantee. A bid guarantee must accompany the bid and must be provided in the form of a bond, certified check, cashier’s check, or bank money order made payable to the Skyland Metropolitan District. If a bid bond is used, it must be on the form provided in the contract documents. 6. Reservation and Award. The District reserves the right to cancel this Invitation to Bid. The District reserves the right to reject any and all bids. The District will accept the bid that, in its estimation, represents the best value to the District. Skyland Metropolitan District By Frank Alfone, District Manager. Gunnison County, the Bureau of Land Management (BLM) and the United States Forest Service (USFS) have temporarily closed a number of roads to all motor vehicles to protect Gunnison Sage-grouse during their mating season and to prevent road damage during wet spring conditions. These roads were closed March 15 and will reopen on May 15, 2008. Copies of the closure list and maps are available at Gunnison County Public Works, 811 Rio Grande Avenue; Gunnison County Administration Office, 200 E. Virginia Ave; Colorado Division of Wildlife Office, 300 W. New York; and the Bureau of Land Management/USFS Office, 216 N. Colorado; Gunnison, Colorado. These closures apply to all motor vehicles. Do not park at the closures in a manner that blocks access through the closure gates. For additional information call Gunnison County Public Works at 641-0044; the Gunnison County Sage-grouse Conservation Coordinator at 641-7604; or the BLM at 641-0471. The cooperation of the public is required to successfully implement these road closures. The closures will aid in the preservation of the Gunnison Sage-grouse and may assist in reducing impacts on residents and visitors of Gunnison County from a possible Federal listing of the grouse under provisions of the Endangered Species Act. 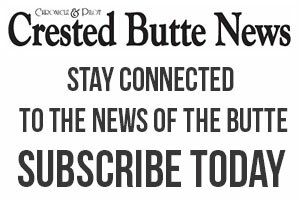 The public also should be aware of other closures in the Gunnison Basin that have been implemented to protect wildlife during this severe winter: The Colorado Division of Wildlife (CDOW) has implemented a Temporary Emergency Closure of all Hunting and Wildlife Related Activities, through May 15, 2008. The CDOW may be contacted at 970-641-7060 for additional information. The Bureau of Land Management (BLM) and the United States Forest Service have closed some public lands to all public use, including motorized and non-motorized uses, also through May 15, 2008. Contact BLM or the USFS at 970-641-0471 for specific information on these closures.